I was once listening to a recorded discourse by His Eminence Sogyal Rinpoche on his groundbreaking book ‘Tibetan Book for Living and Dying’. He was talking to a group of students in a college in California, USA. After sometime, a student raised a question which can never be answered with certainty. 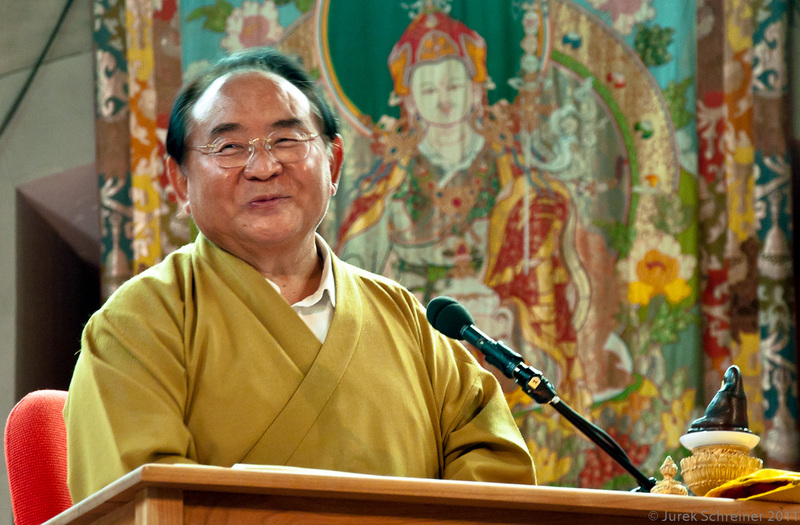 He asked “Is there life after death?” I wondered how would Rinpoche respond to the question because he was certainly not talking to an orthodox audience who would easily believe what is written in the religious scripts. But the answer he provided moved me completely. It was perhaps the best answer one can ever expect for such a question. How do we know that there is life after death? Rinpoche took the question lightly. Instead of trying to explain what is written in various Buddhist scripts about life after death as most of the Buddhist Lamas and monks would do, he simply said “I also really don’t know if there is life after death. But to be on the safer side, let us be at least prepared so that we don’t have to worry if we ever find out that there is life after death when we die.” He continued that we won’t lose anything even if we are prepared and find out there is no life after death, but if we believe that there is no life after death and do not prepare ourselves for it, he questioned what would we do if we discover that there is life after death as we die. It was the most intelligent answer I have ever heard. I am truly amazed how great Buddhist Masters living in the West are adopting culturally appropriate ways of teaching Buddhist philosophies and the teachings of Buddha to different people. Rinpoche knew pretty well that his audience in the West would not believe him if he tried to explain what is exactly written in religious texts. So he intelligently devised a way to answer the question in the most logical way. I have understood from the discourse that Tibetan Book of Living and Dying provides a lot of insightful experiences. It helps us refine our life by reflecting on our own death. It helps us move deeper into our inner being and discover our own inner qualities and values. Rinpoche in the discourse says Buddhism does not believe in the concept of God. It only believes in godliness. It makes a lot of sense when he says that we all have godliness or the Buddha Nature in us but just because of some obscurities, we have not been able to experience that sky-like nature deep within us. The image of various gods and goddesses whom we worship does not represent the true personality of God. It just helps us retain our mental focus or attention when we meditate or pray. It’s impressive to know from great masters that Buddhism is now not even a religion. It’s a spiritual science that explores the inner self, the subjective universe. This is the main reason why so many Westerners are now turning to Buddhism. No matter whether you are a Buddhist, a Christian, a Hindu or a Muslim, I think you should at least read this Tibetan Book of Living and Dying, because regardless of our faith, we must all go through the same dying process one day. It helps us deal with our consciousness more effectively as we die. I have seen this book several years ago and it provides much information to help everyone to get prepared. I like the answer which the Rinpoche replied to the question pertaining to life after death. While I do believe there is a continuation but his answer will help me to enlighten the others in a logical way. Great! Hi Twilight Man, thank you so much for your comment. I truly appreciate it.